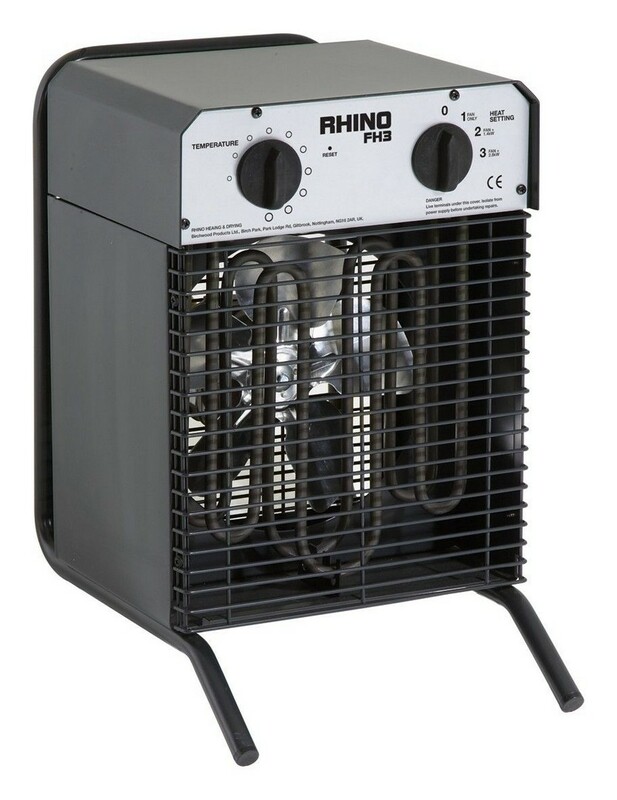 Rhino FH3 portable fan heater. Will heat an enclosed room or workspace gradually over a period of time. Suitable for rooms up to 120m³. The heater has a lifting handle, 3 heat settings and may be used as a cooler without the element.